An in-depth exploration of the largest country on the African continent. 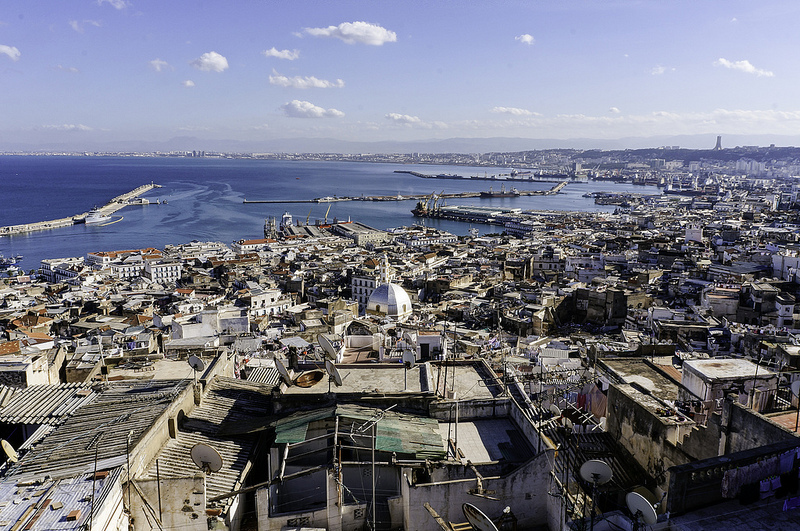 Tour Algiers, including the Casbah, one of the most beautiful cities in the Mediterranean. 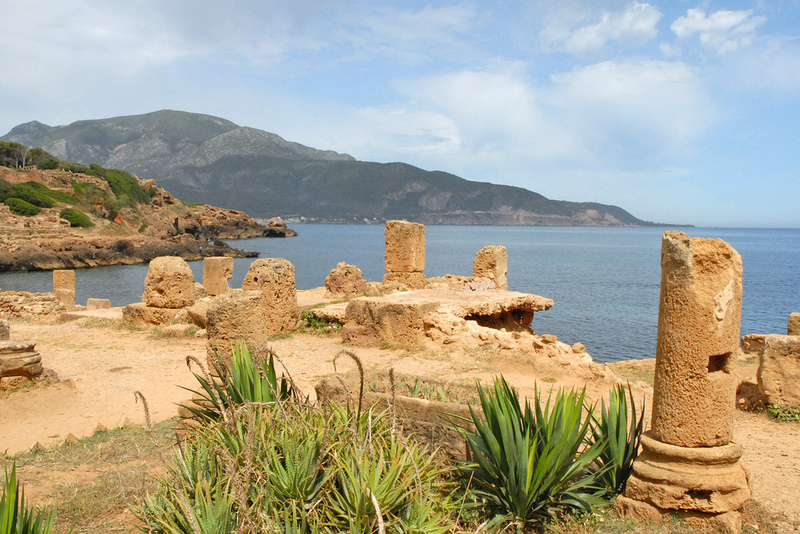 Tipaza, a UNESCO and one of the most significant archaeological sites in North Africa, beside the Mediterranean Sea. 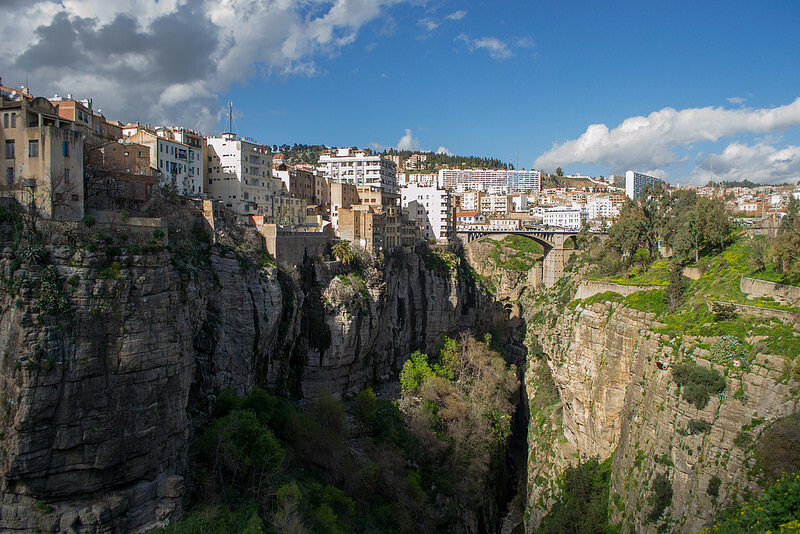 Stroll around the old town and casbah in Constantine (‘City of Bridges’), the former capital of the Numidian kings and an architectural gem, where we can visit one of the famous suspension bridges. 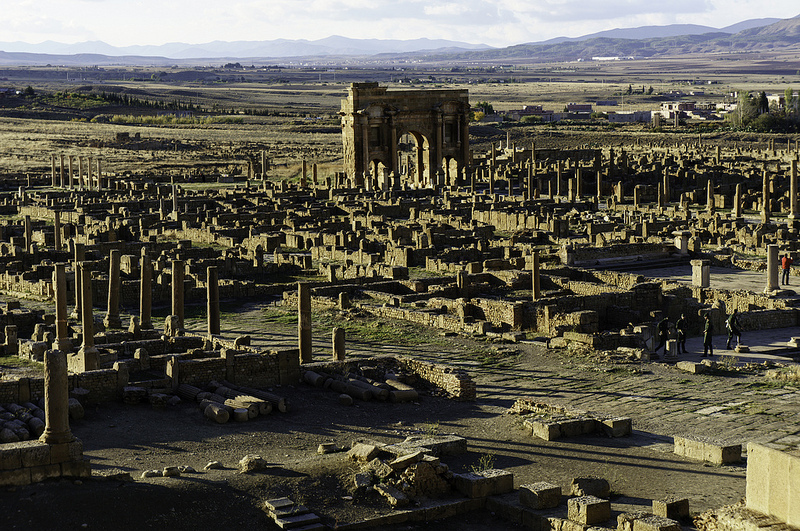 Explore the UNESCO site of Djémila, one of the most picturesque and best preserved ancient Roman cities in North Africa. Wander Fort Santa Cruz along the corniche overlooking the harbor and see the unique colonial architecture. 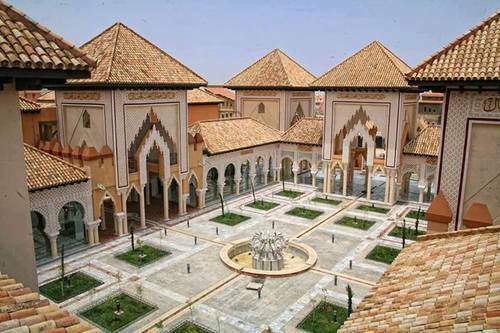 Visit the 13th century sites around Tlemcen, the Islamic capital of culture in 2011. 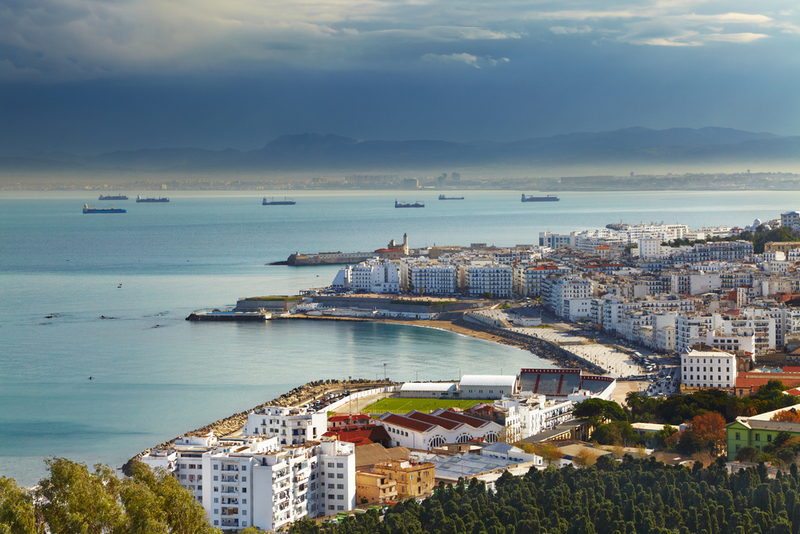 Enjoy coastal Oran, Algeria’s second largest city, and visit the 18th century Grand Mosque. 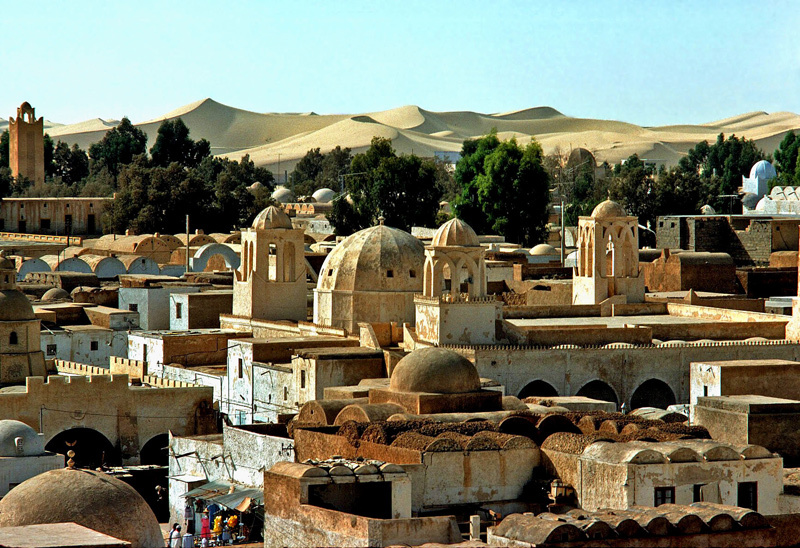 Venture around the oasis town of Taghit through its winding streets and narrow alleys. Step back in time with a visit to M’Zab Valley, with its stunning location filled with desert landscapes, ancient sites, architectural wonders, and beautiful souqs. 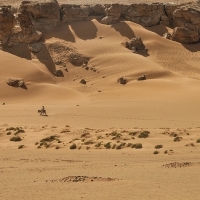 Take a camel journey and sleep under the stars in the southern desert among the thick sand dunes. Letter of Invitation (LOI) required for the tourist visa. 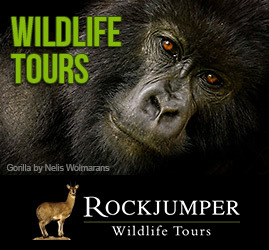 Full services of an Out of Bounds Tours leader with English-speaking local guides and drivers. All transport within the itinerary (including internal flights). We will begin our Algeria tour with an early morning arrival in Algiers, where you will meet your guides and transfer to our hotel. 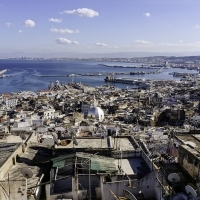 Today we will explore Algiers and visit, among other places, the Monument of the Martyrs (Place des Martyrs), commemorating the Algerian war for independence; the 17th century El Djedid Mosque; Place Emir Abdelkader (panoramic square); neo-Moorish Grande Poste; El-Hamma Garden, which was established in 1832 over an area of 58 hectares with tropical flora; as well as the Bardo Museum of Algeria and the Algiers Museum of Fine Arts. Overnight at Hotel Albert in Algiers. 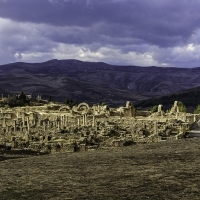 After breakfast we will fly to Constantine, then continue by road to UNESCO World Heritage site of Timgad. We will visit the library, stroll the colonnaded streets, temples, amphitheater, Arch of Trajan and basilica. 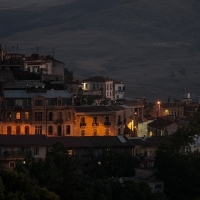 Later we will return to Constantine for a panoramic tour and visit one of the city’s famous suspension bridges. 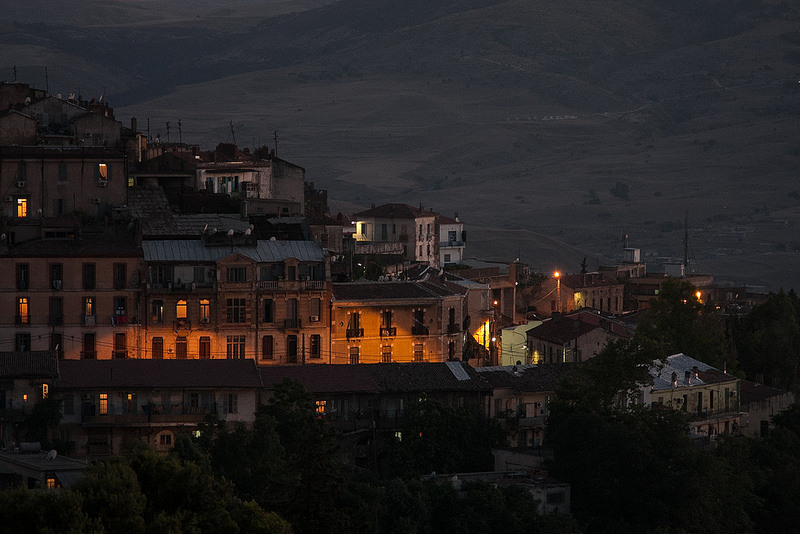 Overnight at Hotel Cirta in Constantine. 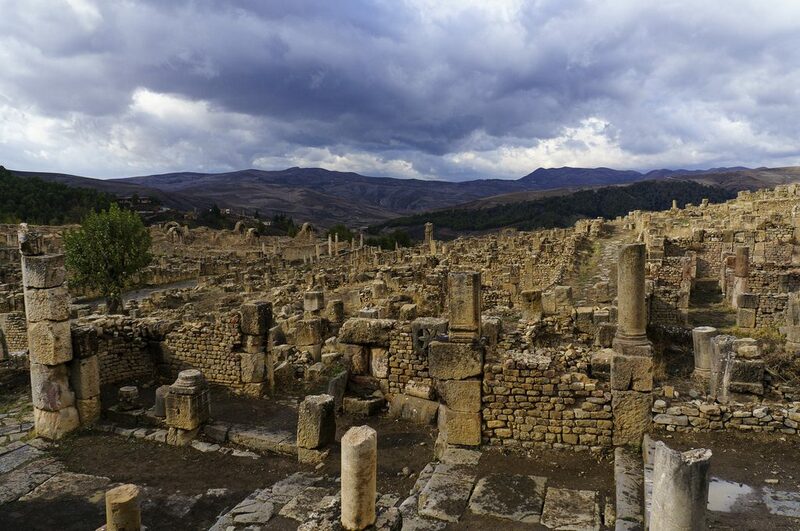 This morning on our Algeria tour, we will depart for the UNESCO site of Djémila and the ancient garrison of Cuicul. There we will visit the forum, temples, basilicas, triumphal arches, superb mosaic museum, and the well-preserved Roman market. 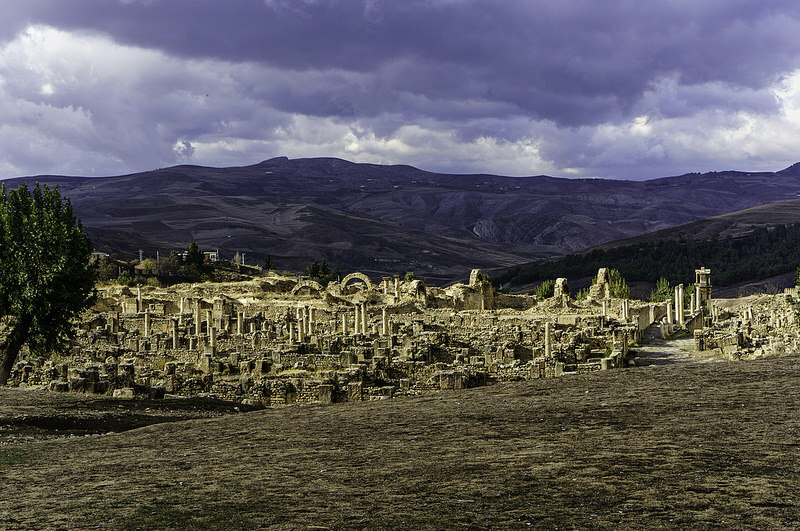 Later we will continue via Setif to Algiers, where along the way back we will visit the stunning Setif Museum, which houses some of the best mosaics in the world. We will enjoy a late afternoon tea at El Djazair Hotel, Algiers’ most historic hotel. Overnight at Hotel Albert in Algiers. 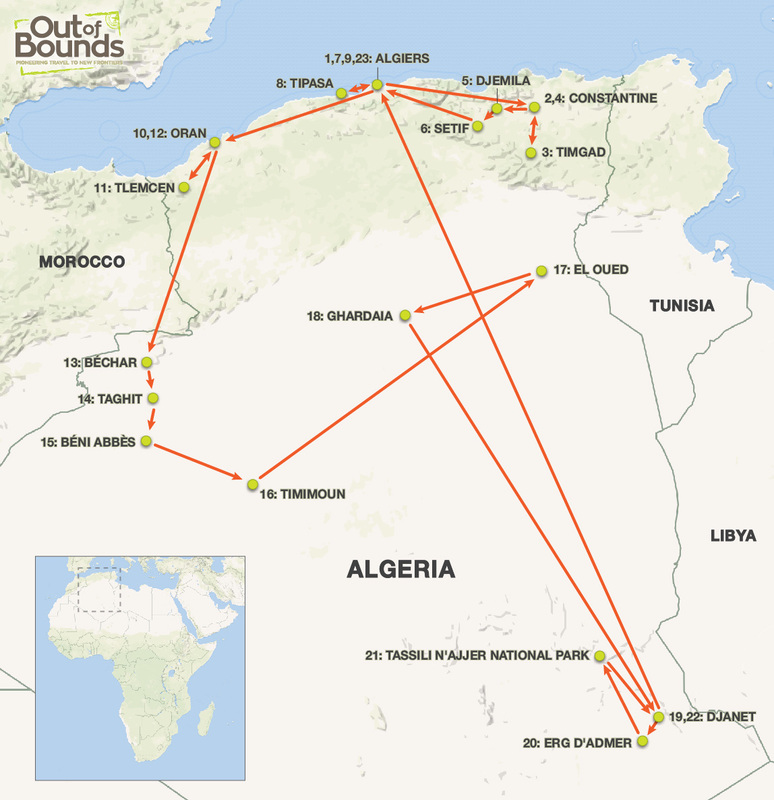 This morning on our Algeria tour, we will have an excursion along the Mediterranean west of Algiers visiting the Casbah of Algiers (UNESCO), Tombeau de la Chrétienne (Mausoleum of Mauritania), Cherchell (archaeology museums), and the UNESCO World Heritage site of Tipasa and its amphitheater, the 4th century basilica, which is said to be the largest in North Africa, and the forum and museum. In the mid-afternoon we will return to Algiers. Overnight at the Safir Hotel in Algiers. We will take a short flight this morning to Oran, Algeria’s second largest city. 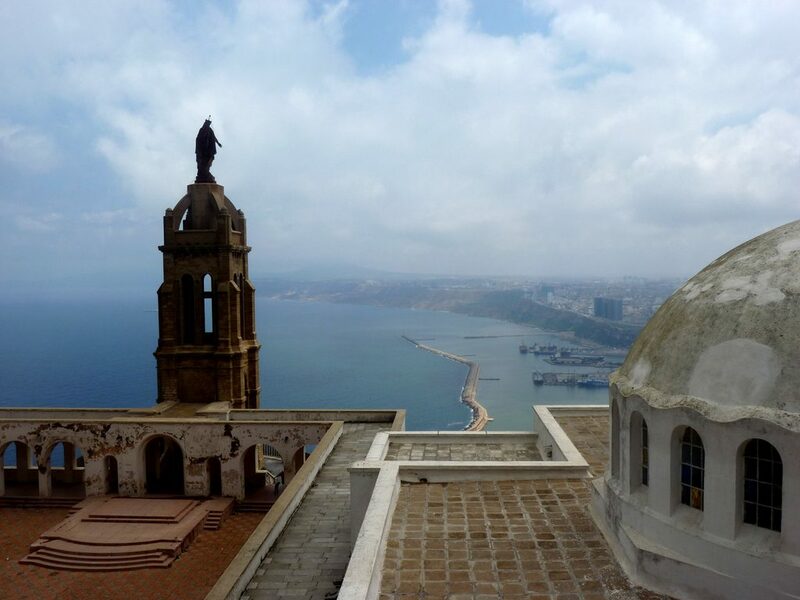 In Oran we will visit the 14th century fort of Merinid Sultan Abou Hassan, Bey’s Palace (with its massive walls that were first built in the 1340s by Merinid Sultan Abou Hassan, reinforced by the Spaniards in 1509, the Ottomans in the 1700s and the French in the 19th century), and the great Mosque. Overnight at the Hotel Royal in Oran. After breakfast in Oran, we will make a full day visit to Tlemcen, the Islamic capital of culture, 2011. We will pay visits to the 13th century Mosque of Sidi Bel Hassan, the Great Mosque (one of North Africa’s most important Islamic buildings), the 13th-century ruins of Mansourah (an enormous ancient mosque), and the beautiful mosque and tomb of Sidi Boumediene (12th-century religious leader). Overnight at the Deux Horloges in Oran. 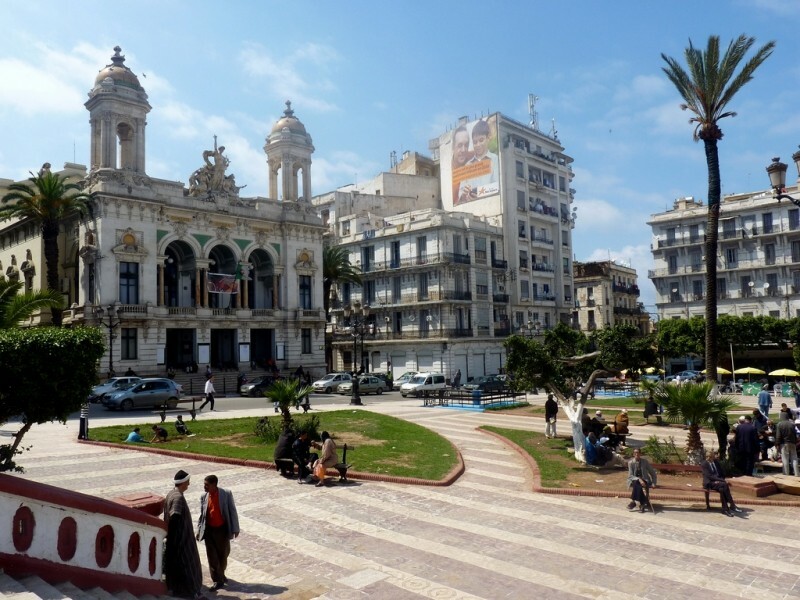 Today on our Algeria tour, we will comprehensively visit the charms of Oran, including its fine colonial theater, plateau of Murdjadjou (with panoramic views over port of Oran and Mers El Kebir), take a guided tour of Fort Santa Cruz, stroll along the corniche overlooking the harbor, and walk about in city central to see the unique colonial architecture. Later we will depart by early evening train southwards from Oran to Bechar. Overnight on train. Arrive Bechar in early hours of morning and then continue by road to oasis town of Taghit (one of Algerian Sahara’s most beautiful oases). 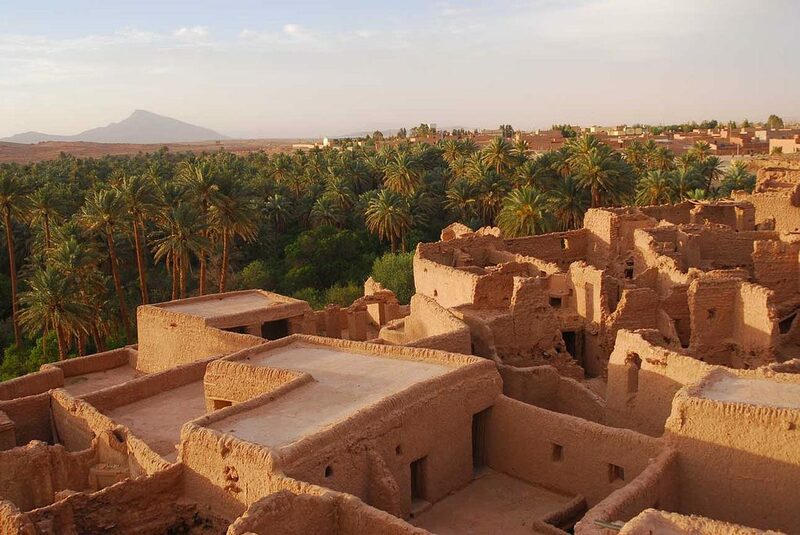 Here we will visit the old ksar (fortified dwellings) walk through old town with its mud‐brick houses, winding streets, and narrow alleyways. 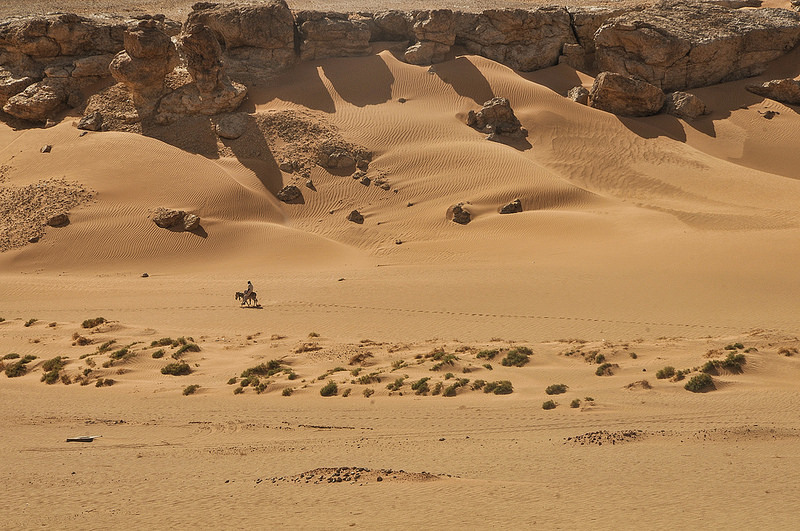 Later we will visit the imposing dunes of Grand Erg Occidental and the cave paintings (camels, ostriches, and humankind). Overnight in Maison d’hôte in Taghit. 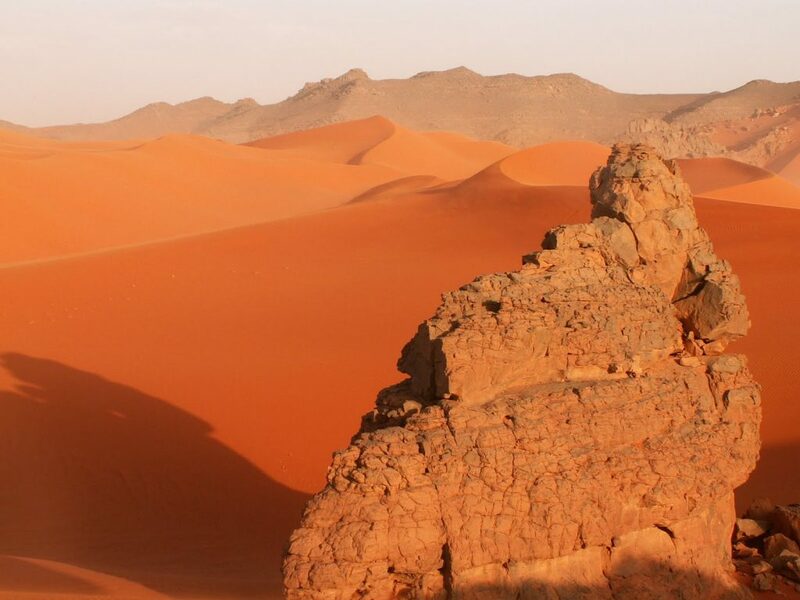 This morning on our Algeria tour, we will venture to Beni Abbes, the ‘Pearl of the Saoura’ or the ‘white oasis’ town, a beautiful setting where the oasis ends and the sand dunes rise majestically into the distance. 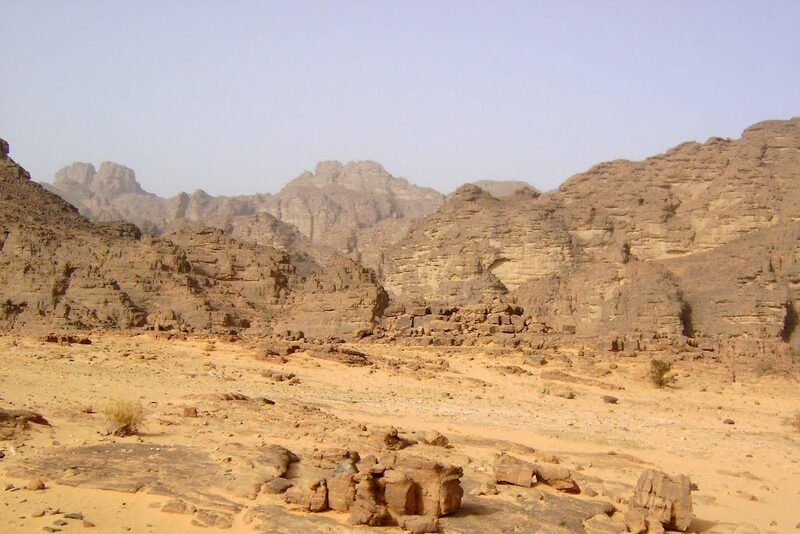 Depending upon time, we should have the chance to look around the ksar and visit the Sahara Museum. We’ll also learn about Father Charles de Foucauld – a French monk who lived here as a hermit back in 1905 – and visit the site where he constructed his hermitage not far from the town. 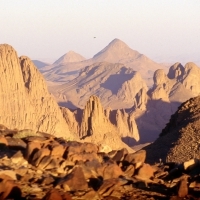 Overnight Timimoun. We will make an excursion to the Sebkha region, a 75km loop which skirts the southern edge of the Grand Erg Occidental and the red salt lake. We will visit various sites on the circuit such as the deep red caves, the abandoned village of Tindjillet, as well as numerous ancient dwellings impressively located along the surrounding escarpment. Overnight at the Hotel Ksar Massine in Timimoun. 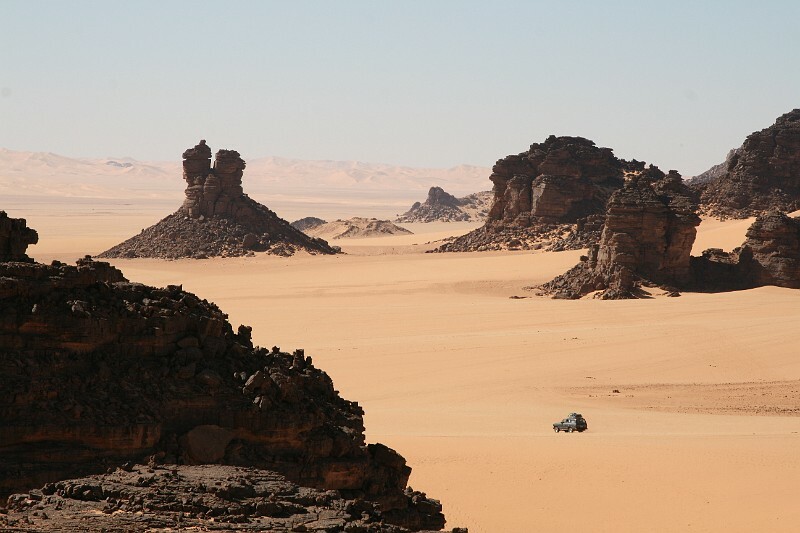 This morning on our Algeria tour, we will depart on the long drive (619km) through the Sahara to Ghardaia in M’Zab Valley via El Golea; Endless sea of dunes of the Great Western Ergs; salt lakes, mountains, palm groves, and fossil-littered flatland. Lunch and comforts stops on the way. 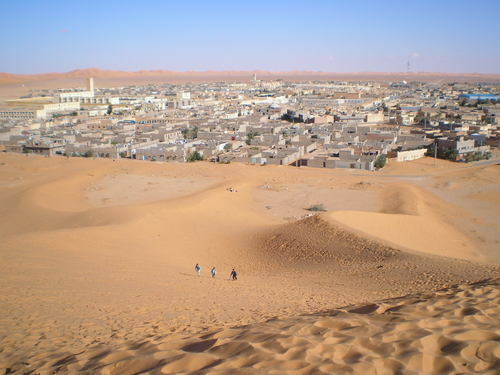 Overnight at Résidence des deux tours in Ghardaia. We will continue our explorations through the Sahara Desert from Ghardaia in M’Zab Valley via El Oued, ‘the city of 1,000 domes’. On arrival we will check into our hotel for two nights in a remote palm grove area near Beni Isguen. 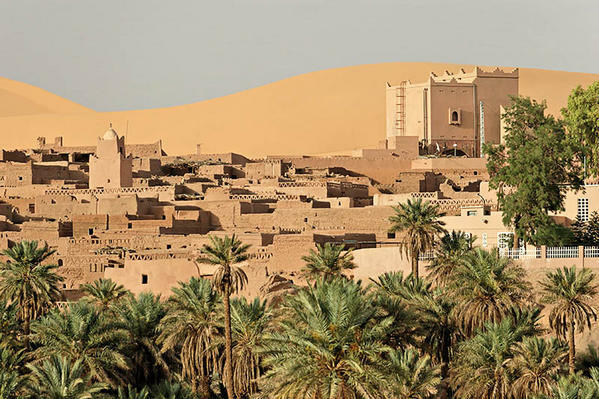 We will enjoy a full day exploring the UNESCO World Heritage site of M’Zab Valley, including Ghardaia, with its old town, market square, “four fingered” mosque, tombs and date farm. One of the highlights of our Algeria tour. This morning on our Algeria tour, we will fly to Djanet (via Algiers). 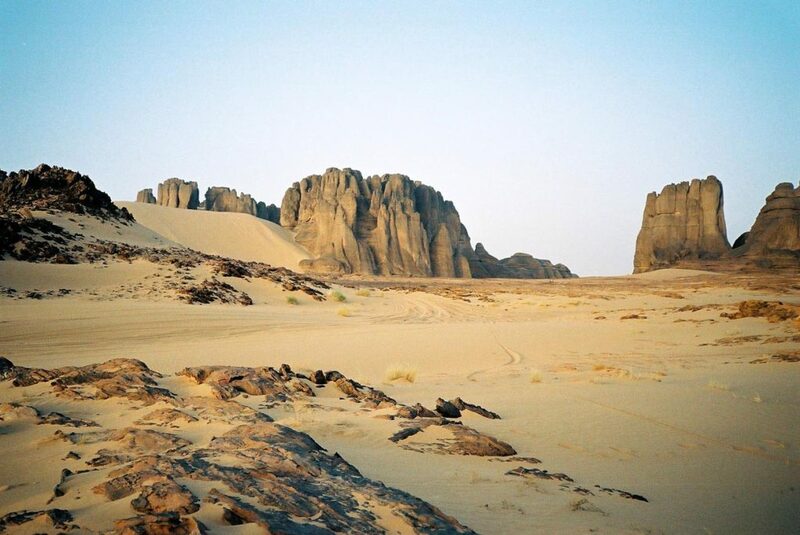 We will then travel by 4×4 to Alloukou, west of Djanet, to meet camels and Tuareg camel drivers. We will then set off into desert for night under the stars. 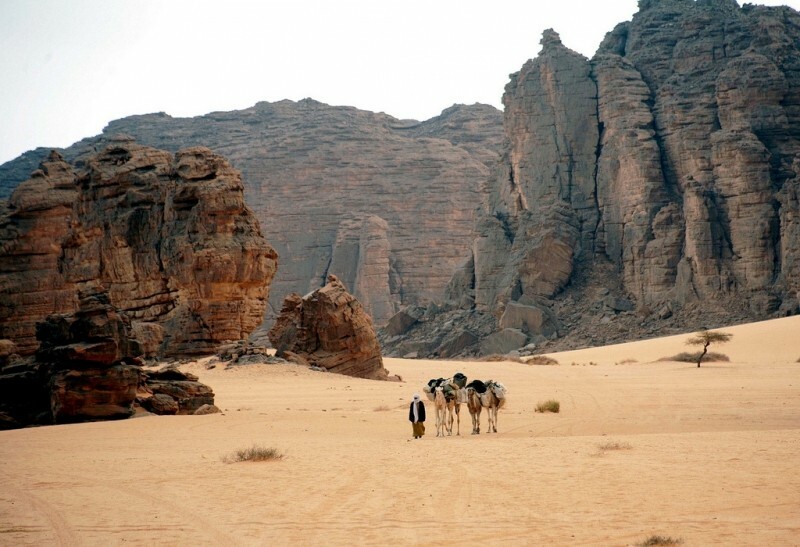 We will spend some time crossing the desert by camel and traversing a strange landscape of rocks towering towards the sky and sand dunes as we head towards the steep canyon and guelta of Tililine, where we camp for the night. After breakfast we will head by 4×4 towards Tikoubaouine, the site of numerous rock arches and obelisks, then by foot to the guelta of Touia and on to the deep gorges and wadi of Hell. Later we will sleep in the desert in Ioualalaten. 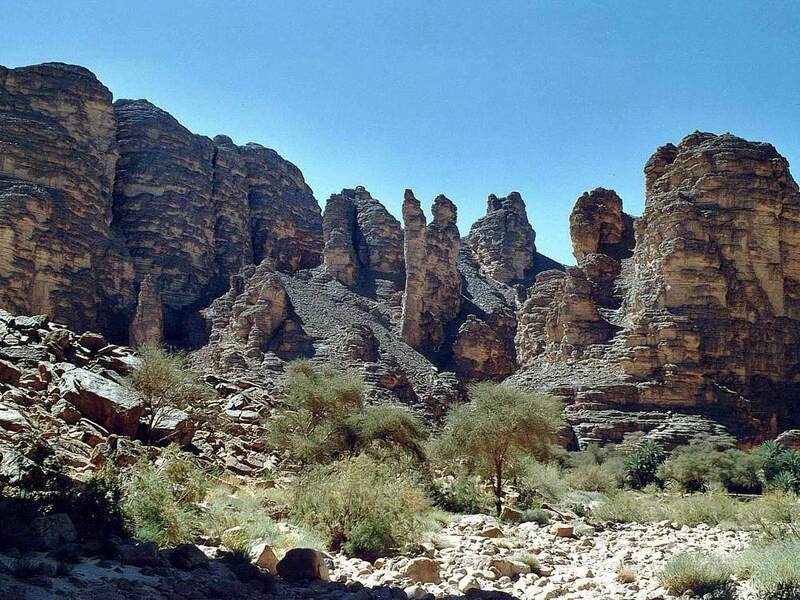 This morning on our Algeria tour, we will drive to Essendilene, a beautiful place with a verdant canyon with dense vegetation, crystal waters, towering cliffs and dry waterfalls. Overnight under the stars in desert. We will explore around the huge expanses of sand at Erg d’Admer and see the pre-historic remains (dishes, pots, arrowheads). 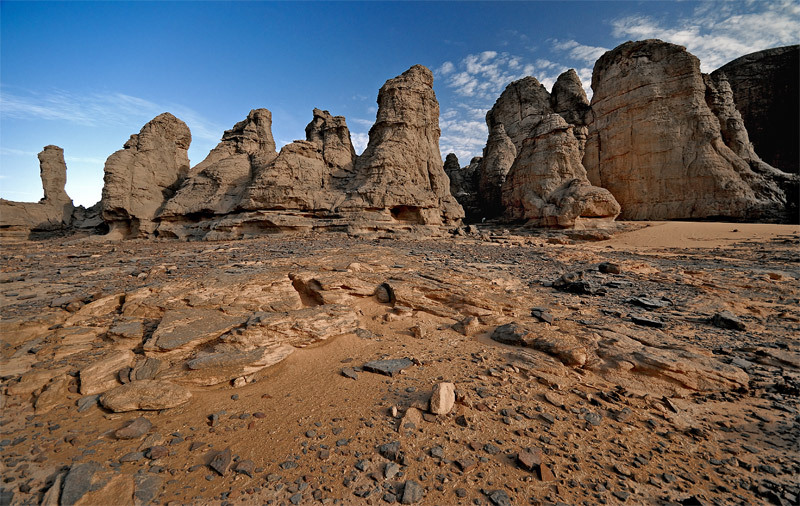 Later we will journey back across wadi of Hell and overnight in the desert at Tiouitatirine with its twisted rock formations. 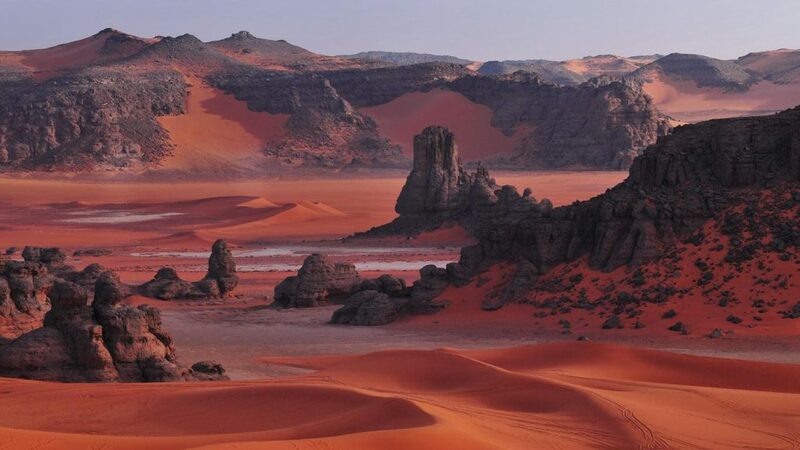 Venturing out today on our Algeria tour, we will see the guelta at Agzel, at the foot of the Tassili, then travel across a variety of landscapes to Aramas for our last night sleeping out in the majestic desert. 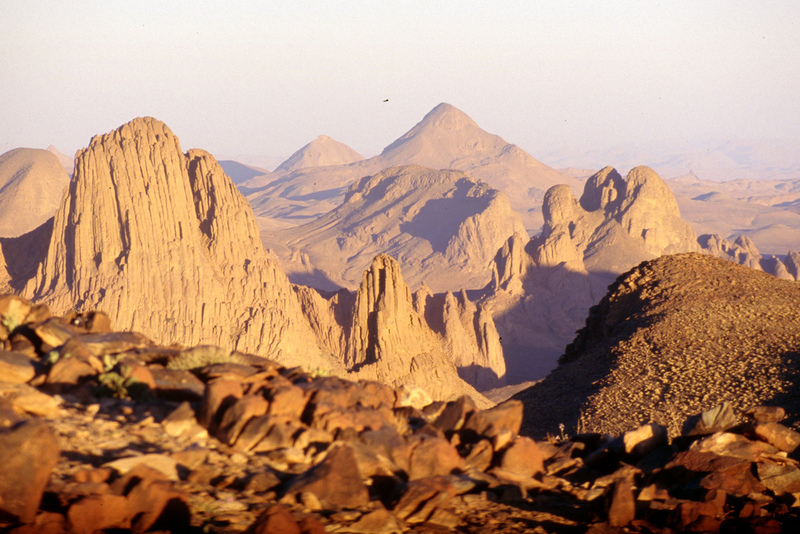 We will head to Oued Tekkat N’Ténéré (towers of sandstone) and then on to Dag Iharadj. Later we will return to Djanet to visit the palm oasis, museum, 16th century ksar, workshops, and a local market. We will enjoy a farewell dinner and Djanet and return by short flight to Algiers. Overnight in Djanet. 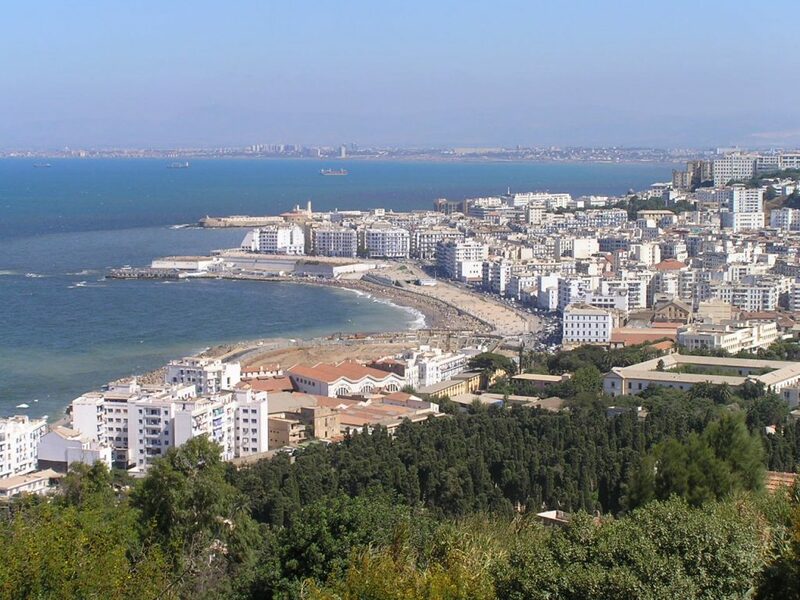 On the last morning of our Algeria tour, we will have an early departure (around 3 am) to Algiers. We will then check into day rooms, where we will have an opportunity to rest and refresh before our departing flights later today.